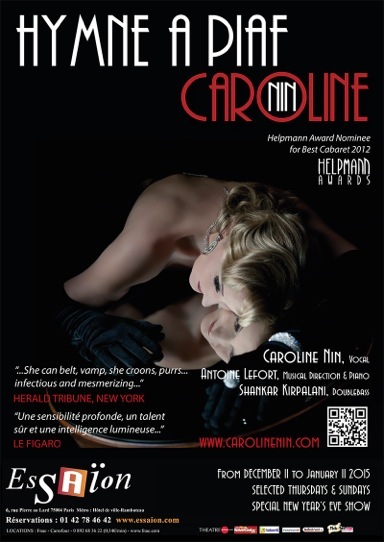 Caroline Nin, « French chanteuse » as she is self described, is a jazz singer and has been practicing her art since she was a wide-eyed youth, off to concquor London. 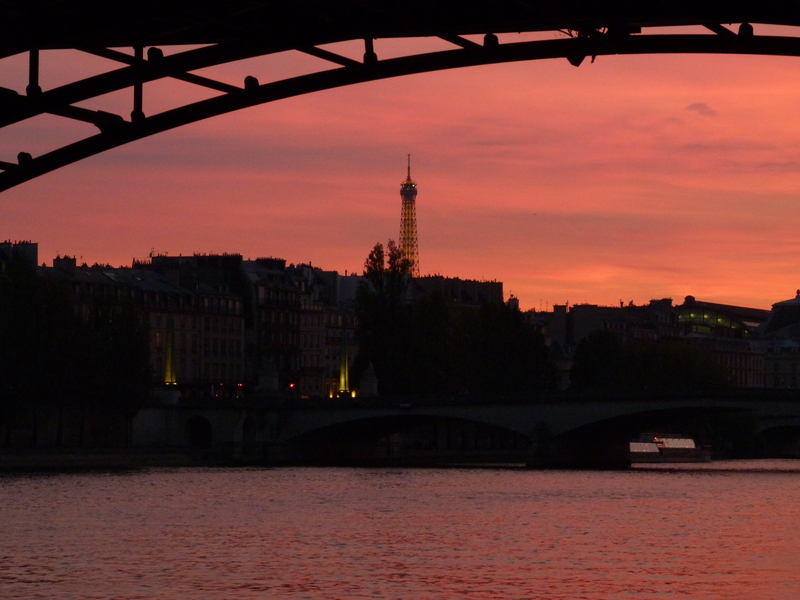 She traveled the world for 20 years singing in concert halls from Australia to America, and has now returned to her home town of Paris where she now shares her show Hymne à Piaf with the cosmopolitan Parisian audience. Much to Caroline Nin’s delight a smattering of Frenchies peppered the 40 seat venue amongst an international crowd for this bilingual show. She promised to translate the show to French entirely if one day she could fill a 1000 seat Parisian theater full of Frenchies. But there is something magical in her mixture of French and English. I wouldn’t change a word of it. Aptly titled « Hymne à Piaf » this show is a story that illuminates excerpts and highlights of the life of this extraordinary personnage. With an uncanny ability to make a story come to life, Caroline Nin weaves a web of mystery and magic at the Essaïon theater and transports her audience from 13th century stone cellar, towards the Menilmontant quarter in Paris to Dunkerque in northern France, to the red light district in Sydney, Australia and even flies us all the way to the USA where we see the heartache that was the beginning of the end of the legendary singer. With a wink and a lift of the brow, Caroline Nin charmed us into following her graceful recount of the triumphs and tragedies that befell this larger than life French star. I was delighted and captivated by Nin’ sultry voice that could range from an elegant and lofty note to a sarcastic snarl in moments. The songs are all introduced with a story, sometimes an anecdote from Caroline Nin’s own life brings about a certain excerpt. And each one is always offered with a mixture of French and English that allows us all to image the context. She focuses on lesser known numbers without forgetting to incorporate those well-known, goosebump-giving titles : Milord, La Vie en Rose and Non, Je Ne Regrette Rien. The show is a cabaret style, which offers Caroline Nin the opportunity to draw her audience into her intimate circle for the space of an evening. She even got us to clap in rhythm and sing along to Milord (but than who can resist that song!?!) She’ll sometimes gently single someone in the crowd out, without making them uncomfortable and we all feel invited to allow ourselves to let go and enter the story with her. She ended the show with a resonating representation of Non, Je Ne Regrette Rien, and bid us a good night with a heart warming « Mwuaaah! ». We were all instantly her friends and fans alike… And with an unabashed ability to never take herself too seriously, she invited us to see her on our way out of the theater where she offered to sign posters or tickets with a little tongue-in-cheek humor about her possible future celebrity status. And she did greet every one of us as we lined up to leave on our way to live out our ordinary lives that suddenly seemed to hold a tad bit more allure now that we had experienced such a charismatic show and such an engaging personality. 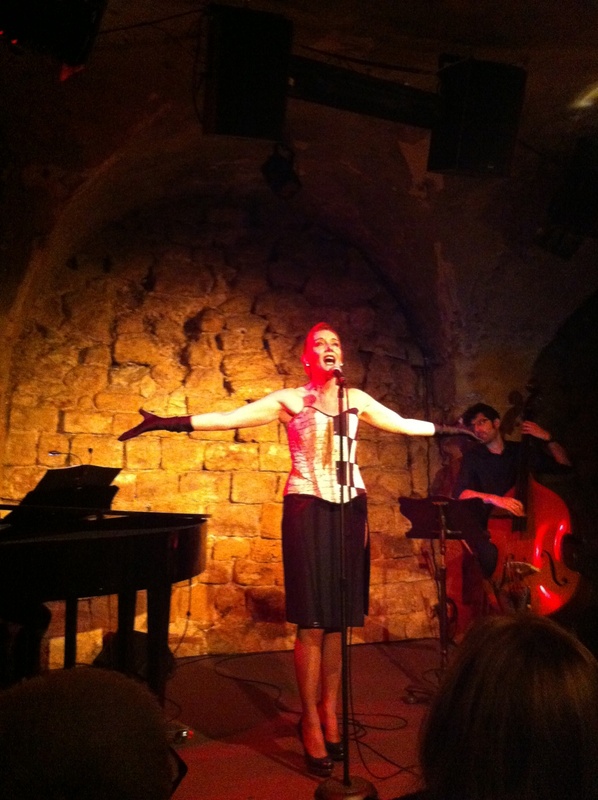 Please go see her charming show, and if you are looking for something to do for New Years in Paris, she will host an open champagne bar show with cabaret tables and that cozy toasty feeling that you get from a warmly lit white stone Parisian cave and a sultry jazz singer. Check here for dates and ticket prices. Thank you Caroline Nin, for inviting us to enjoy your delightful spectacle and Edith Piaf story.